Geek, Nerd or Dweeb? : Hello Hello.. R u there? Hello Hello.. R u there? We're about to approach 2008. I was busy doing nothing much. Spending a lot of time learning new things lately. Well, what's more interesting thing that I'd like to share here is about the trip after surveying the area that I'm about to shoot. 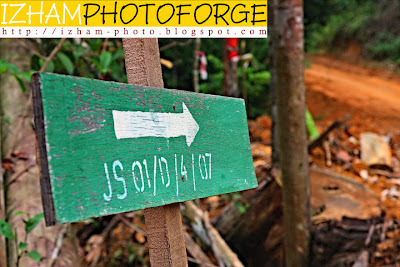 We went inside the forest to see some logging activities. Normally at the loggin site they will have this kind of license signage with some indication of the license information. Then I found this. 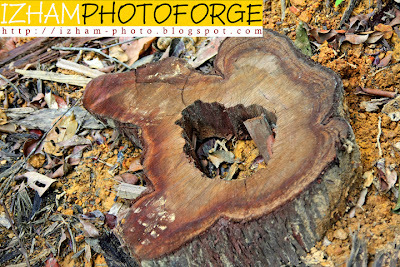 A cut of a log which you can normally found it being commercialized, which they plant some small trees inside that hole. Now I know where do they got all that. I think this is such a nice thing. 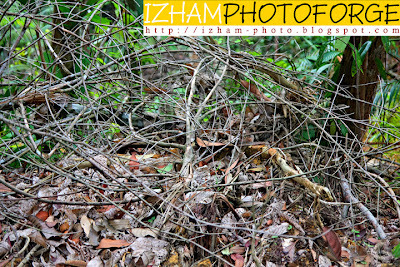 The small branches form a lot of leading lines and I must say it somekind of soothing to the eyes. To me la at least hehehehe. Then, all of a sudden, we met with this. Guess what? We leave it there, and will take it back sometimes later. 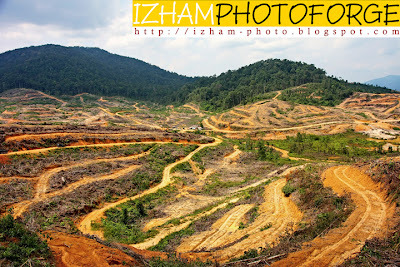 In the middle of the forest, it's quite weird when you can see land being cleard up like this for oil palm plantation. Nice or not nice? It was not a good scene to look at but i think it looks quite nice in the picture. Arrived at the logging site. Nowadays, the timber size are rather small. 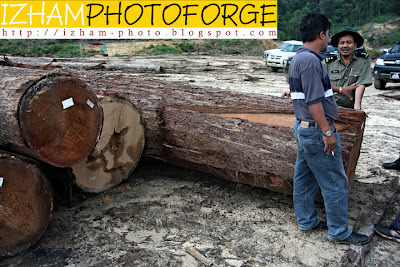 Last time, a timber diameter used to be as wide as 3-4 meter and imagine how big was that. 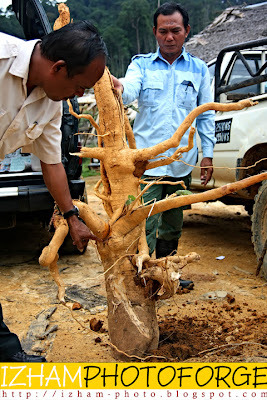 And people last time, used iron cable to pull it up to the lorry, not like nowadays where as they use excavator. 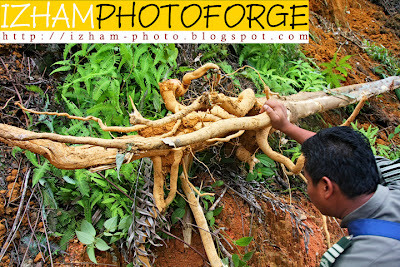 On the way back, we took the tongkat ali and brought it home. It's going to be displayed at one of the exhibition later. Nice eh? I wish i can go in again. Clarification of why this and that..